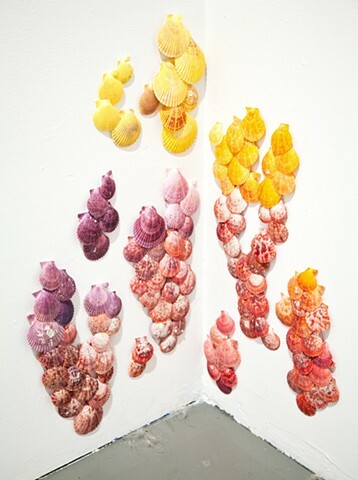 In the exhibition, The Hall of Disappearing, most viewers thought that these shells were painted, however the shells naturally grow in this spectrum of tones, which is what attracted me to arrange them in this way. It is just this kind of confusion/complication of what we assume to be "nature" and what is "culture" that is interesting to me. This work was also shown at the Poetry Foundation in 2016.